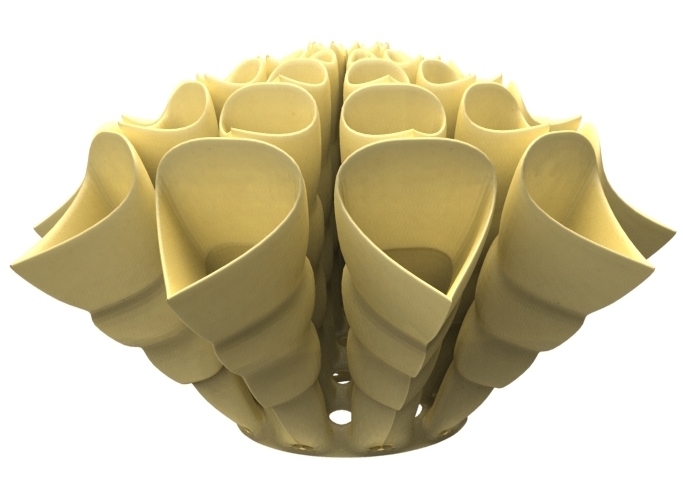 Exploring the production possibilities that 3D printing offers through adapting them to pasta. Creating a series of shapes that are not producible using traditional manufacturing such as extrusion or folding that would enhance the way we experience pasta by focusing on the sharing of an experience. Pasta is a cultural element filled with emotional value, people come to regard it as a natural food , such as grains, but in reality it is heavily processed, and entirely reliant on manufacturing possibilities, with the emerging of new manufacturing possibilities, Pasta becomes less reliant on extrusion, creating opportunities for complex shapes . Looking into gestures surrounding different shapes and ways to make food more interactive, removing cutlery and connecting the user a shared experience of a meal. 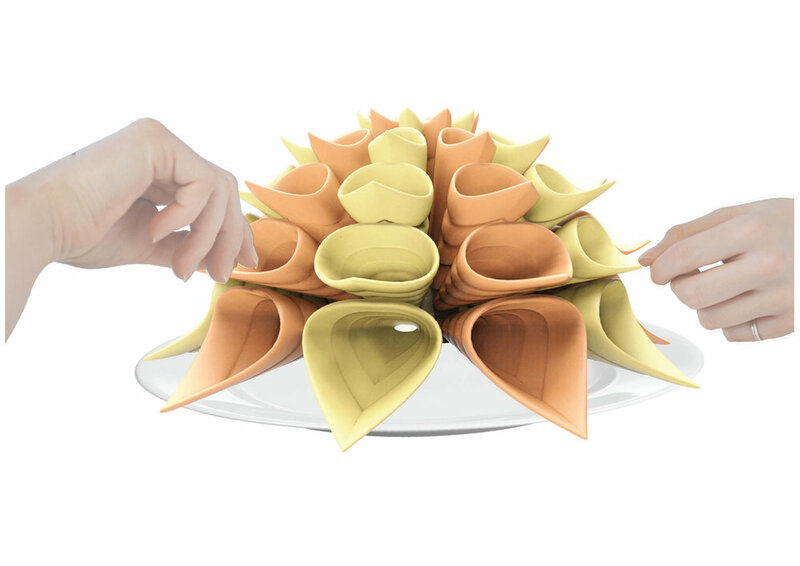 To create a pasta to share, a single shaped piece of pasta that would open as it cooks and is meant to be pulled apart.